Buckle up it’s going to be a wild ride between now and Friday with spring-like temperatures quickly becoming a distant memory by weeks end! The forecast models track a very potent wave of low pressure across the Mid-Atlantic Wednesday night into the morning rush hour on Thursday. Depending upon which model you look at, our area could either see rain, rain going over to snow with little in the way of accumulation or heavy wet accumulation on trees and grassy surfaces. The image below shows the latest trend GFS model for 1 am Thursday morning. 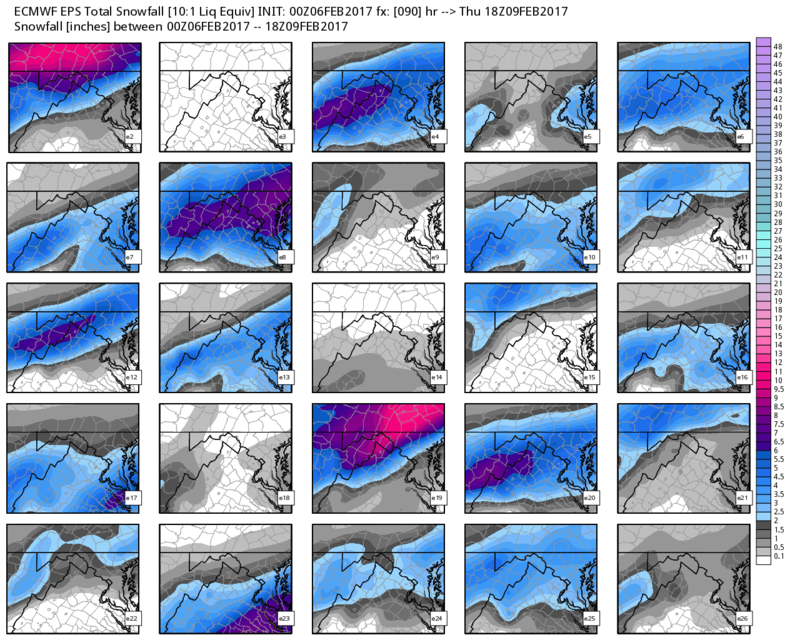 Before you snow lovers rip your hair out keep in mind that the European forecast model takes the track further south and is forecasting a much colder profile in the atmosphere over the DC Area. 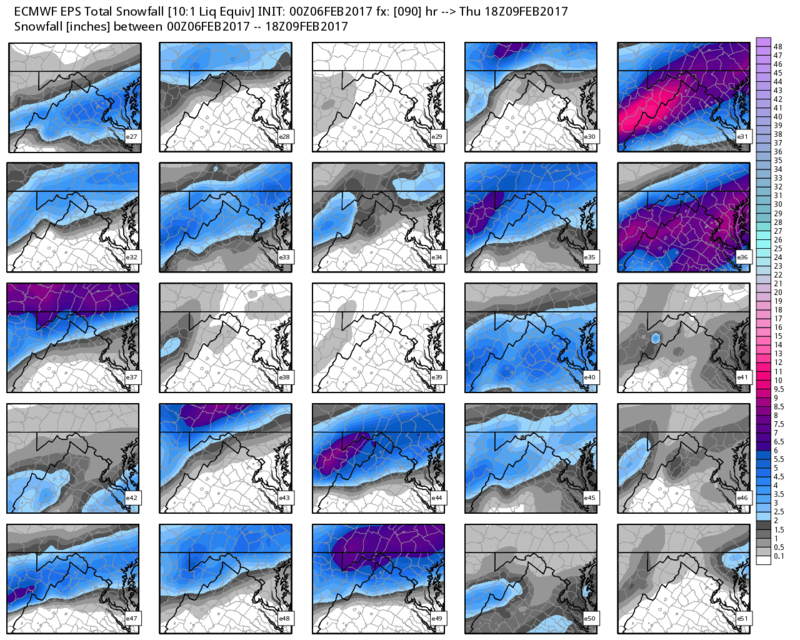 The GFS ensembles currently are further north in track and hence keep the accumulating snow mainly across the far northern and western suburbs. 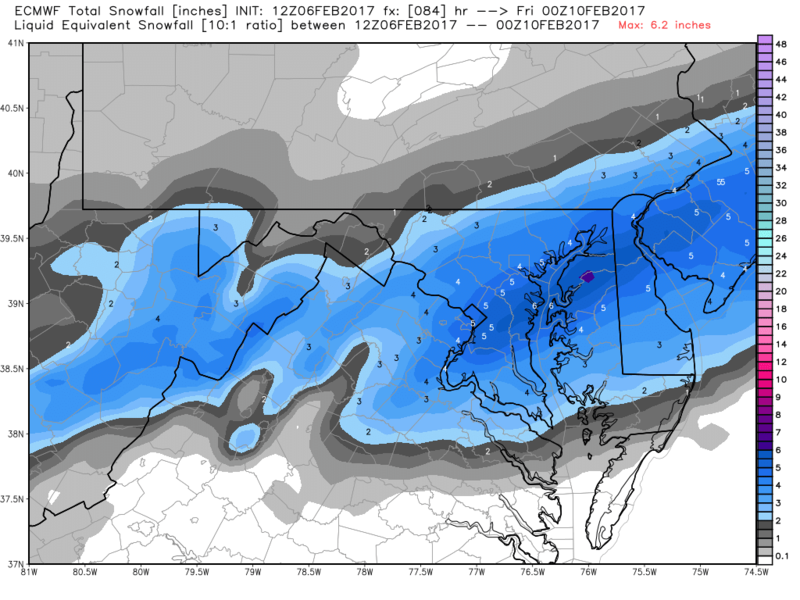 However, the European model takes the track of this system further to the south with a colder temperature profile over the DC Area. 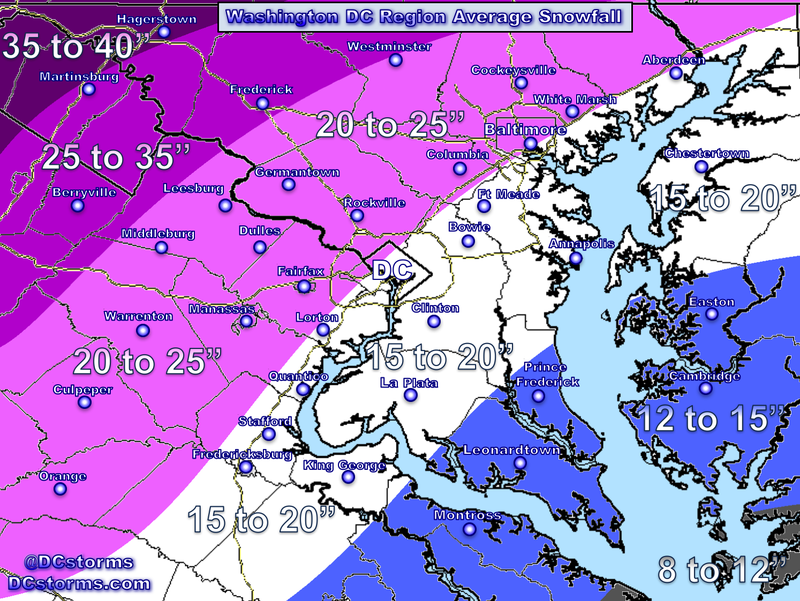 If this were to pan out, we would likely see our largest accumulating snowfall so far this season across the immediate DC Area. The latest European Ensembles are not in 100% agreement at this time with 50% showing a decent snowfall while the other half keep the accumulating snow north of us. Enjoy the mild weather through Wednesday, it will certainly feel like April across our area. A blast of arctic air will infiltrate the DC Area on Friday into Saturday with lows dipping into the lower 20s and highs barely making it into the middle 30s. There is the potential that a wave of low pressure will deliver rain changing over to snow with some accumulation possible. It is too early to get excited as the ensembles are not in 100% agreement (yet). The temperature gradient setting up across our region should allow for some heavy snow to fall somewhere in our region… will be interesting for sure. Someone is going to wake up to a gorgeous winter wonderland on Thursday morning in our region. Well if you look at the latest Euro which was posted, keep in mind that this is not accounting for a warm ground. If the GFS continues to trend further south with track and we can get in on some heavy snow… we might be able to pull off a few inches on grassy surfaces, cars and untreated secondary roadways. This would likely be a very wet snow. 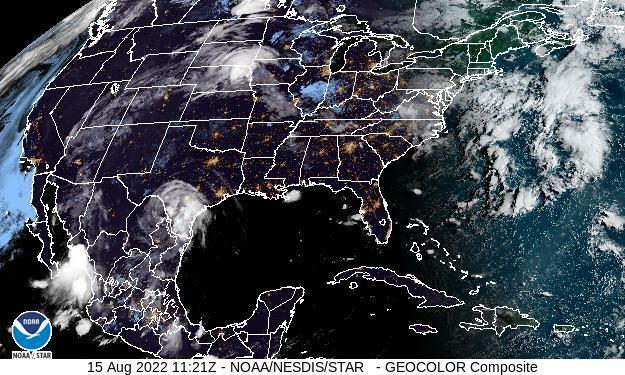 Go ECMWF #36!! 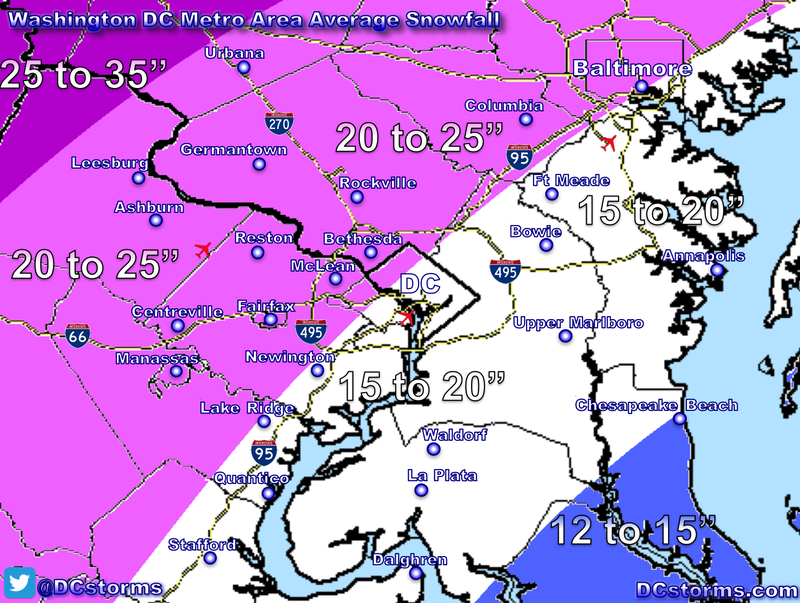 I am more likely to believe 4-6″ for Damascus with little in DC. I am desperate enough to take a ride up there! This is a very interesting trend. 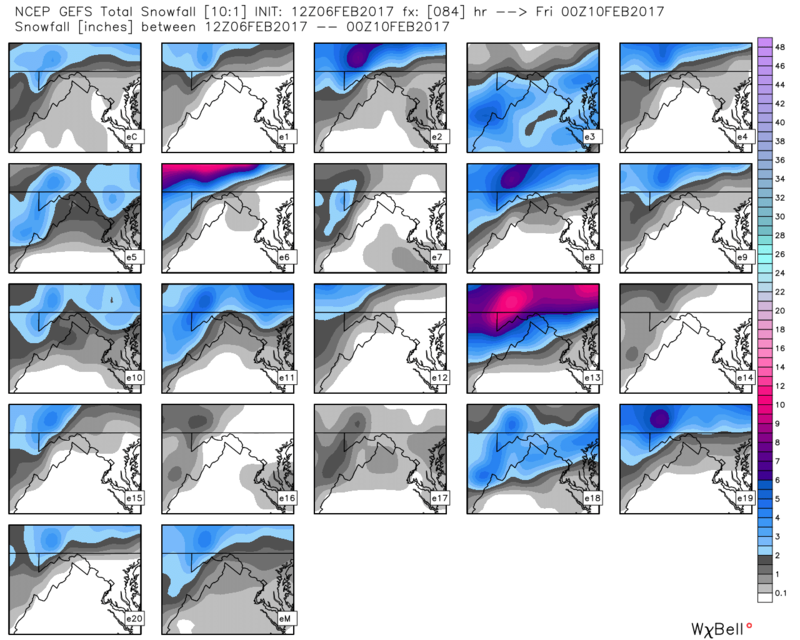 How much inthe way of accumulation are you seeing with the latest European model?